← Is this a bike? My love of vintage bikes came about because I generally love old things, especially if they have a certain style and quality about them and also if they have a special meaning for me. Many of the things which I cherish in my home have been salvaged from my parents’ garage or from my grandparents’ old shed. 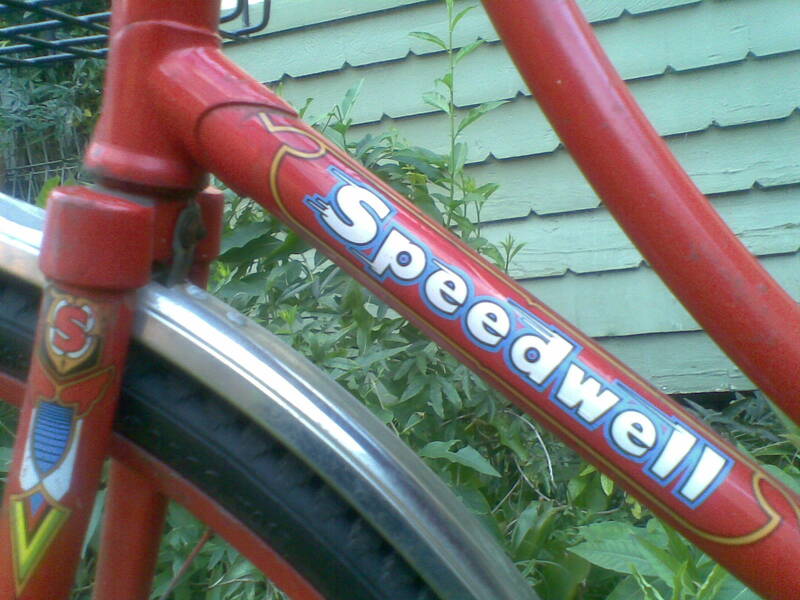 This is also the case with my Speedwell bike which I had as a child. It sat in my parents’ garage for many years, unused. If they had moved about a lot it would probably have been relegated to the dump a long time ago, but thankfully it was still there when I began taking a greater interest in bike riding, so I decided to revive it. My first thoughts on it were to get it roadworthy to see how it rode. I did not hold high hopes of it being really rideable as I knew it had only one gear and back pedal brakes, so I thought that going up and down hills would be very different from what I was used to. I also didn’t know if it would even be possible to get 28 inch tyres for it. So with a new set of tyres and a saddle and it was back on the road. 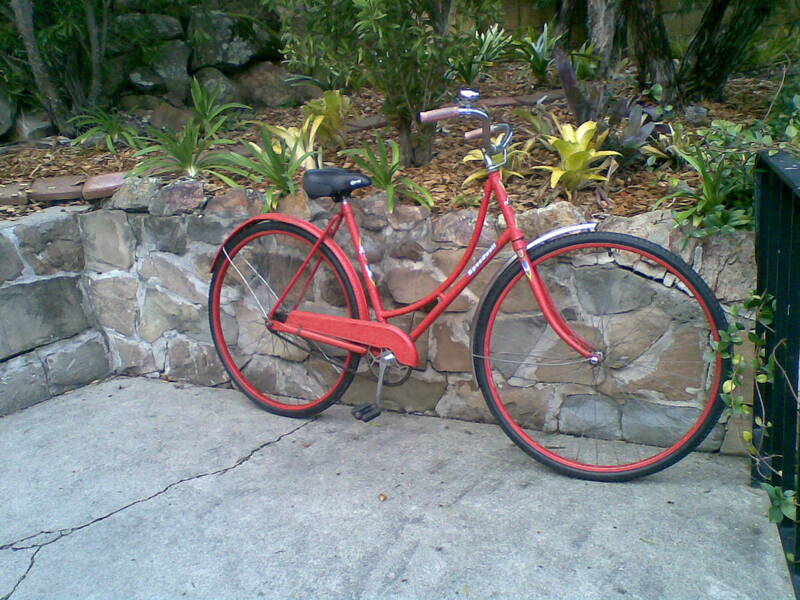 The first time I rode it home from the bike shop I was amazed at the ease with which I rode up the hill to home. It was a little harder than on the Giant, but not much. The seating position was great, so upright and high! I thought, this is a bike I could ride everyday! It also fits my criteria of having a bit of style: the lugged loop frame is not only easy to mount and dismount, it has a certain elegance about it and the fine lines of it are a far reach from my chunky Giant bike. I have had quite a few compliments on it, rust and all, and it has indeed become my bike of preference. I also like that I can use an old wire basket like the one I had on it as a child. For that reason, I will not be getting a trendy wicker basket, I like to be original. This entry was posted in Uncategorized and tagged about me, vintage. Bookmark the permalink. Nice bike ! 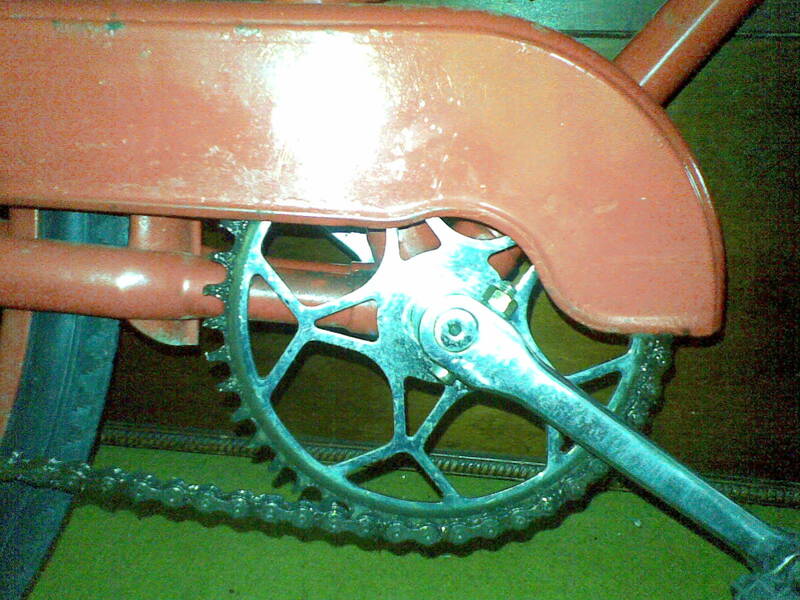 – I have a diamond frame Speedwell of a similar vintage that I had as a teenager in Swansea. I recently retrieved it back from my dad on the central coast as he no longer rides it. Have restored it to good running order this year, though sadly it was no longer original like yours. Still, it rides very nicely with an old Shimano 3s hub and Brooks saddle. I’ll keep an eye out for yours when riding into town (from Belmont North via Fernleigh Track). P.S. saw your site via a “lovely bicycle” post. Thanks Peter, I like it too and want to keep it as original as possible, though I’d love to get a Brooks saddle for it. 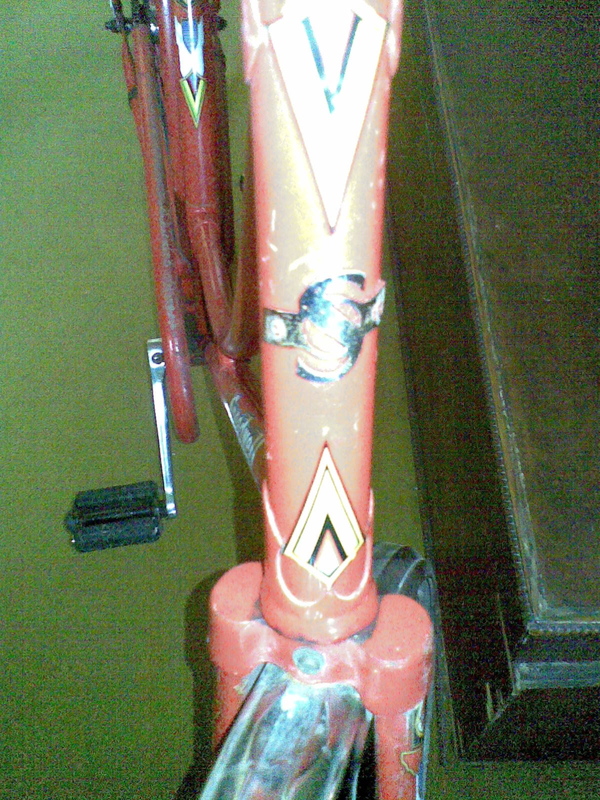 My daughter got a picture of a brother Speedwell of mine in Islington, same stickers and all, and lots of rust. I’ll put it into another post so you can see it too. I don’t ride Fernleigh often though I live near it, but I want to write a ride report on it for the LB ride report comp, I need to get out there and get some pics first. Good luck with that ride report, I hope to see it on LB ! I’ve taken some interesting pics on my bloggie cam in the tunnel, where the artificial lighting comes out intensely red (no flash). I would never have dreamed of being able to ride to Newcastle so easily before the track was there. There are lots of good photo opportunities along it, I know. I hope to get together a good report and post it here with a link to here on LB. I currently have a bad head cold which is stopping me from going out now. The headlamp bracket might take those old army style torches that are available from antique shops — from memory, the shop in south Darby Street had a couple. I think I have a couple too, though i’m not certain which batteries they take. The old generator headlights like my Miller 6V (UK) had a two piece bracket that tightened onto it also .